Stream SEO is known for writing reviews of different advertising platforms for every niche and country available out there. It has been our focus for many years because we know, no ad platform fits every website or blog in this world. Adsense can be great, but working with other networks can be a better choice. You just need to know how to chose them based on your niche, geos and other factors. While we have reviewed several smaller alternatives in the past who deliver ads in various ad formats such as banners, interstitials, mobile ads, pop ups, etc. 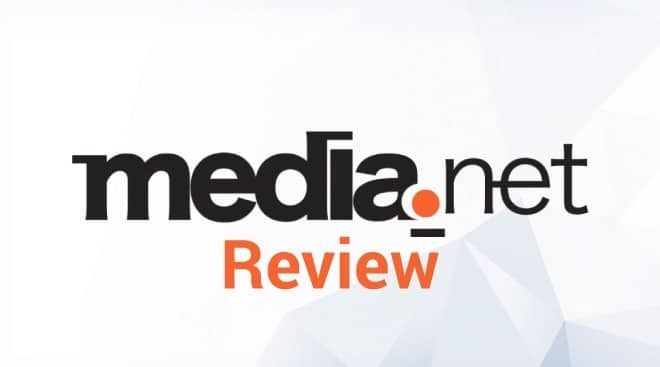 Today, we’re going to review one of the top competitors in this space – Media.net (sign up here). 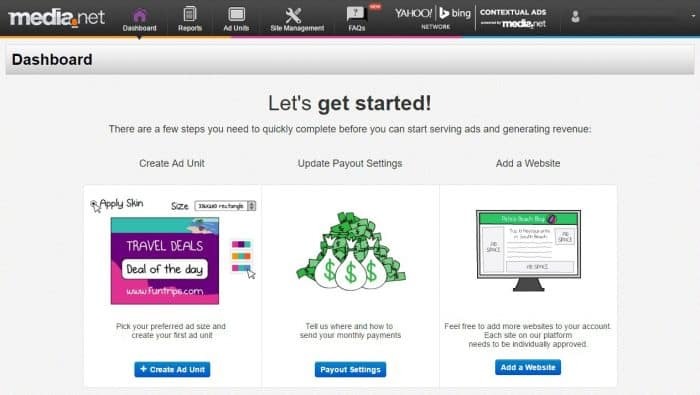 Media.net is a contextual Ad Network which powers the Yahoo!-Bing contextual ad platform and guarantees not only high quality but also high paying ads. It gives publishers access to over $5bn of advertiser’s search demand. So it’s rightfully known as one of the Best Adsense Alternatives. If you want to run with the top networks, you’ve got to work with Google, Facebook or Bing/Yahoo, and we have covered a lot about Adsense and some of Facebook Audience network recently, so it was only time to write and show media.net works. For those who don’t know what a contextual ad platform is, it means that the advertisements are based on the context of the page. This means if your website content is about yoga, your visitors will be shown ads related to the yoga industry such as yoga pants, yoga mats, yoga online courses, etc.The performance of contextual ads is usually better as compared to other kinds of ads because when an user lands on a website, and sees ads that are in sync with the webpage he is more likely to click on them rather than something that is completely random and unrelated. As a high-quality ad network Media.net only accepts websites that have premium content, irrespective of the scale and size of the blog. The returns that publishers can expect with Media.net are as good as with Adsense, in fact, sometimes it’s even higher. If you are looking for an alternative to Google Adsense, I’d say without a doubt, Media.net is your answer. As mentioned before, Media.net (sign up for a free account here) is a high paying contextual ad network and one of the Best Adsense Alternatives. Media.net looks for high-quality publishers and only allows websites with premium content. If you are looking to make money fast with your low-quality blog, well Media.net is not for you. 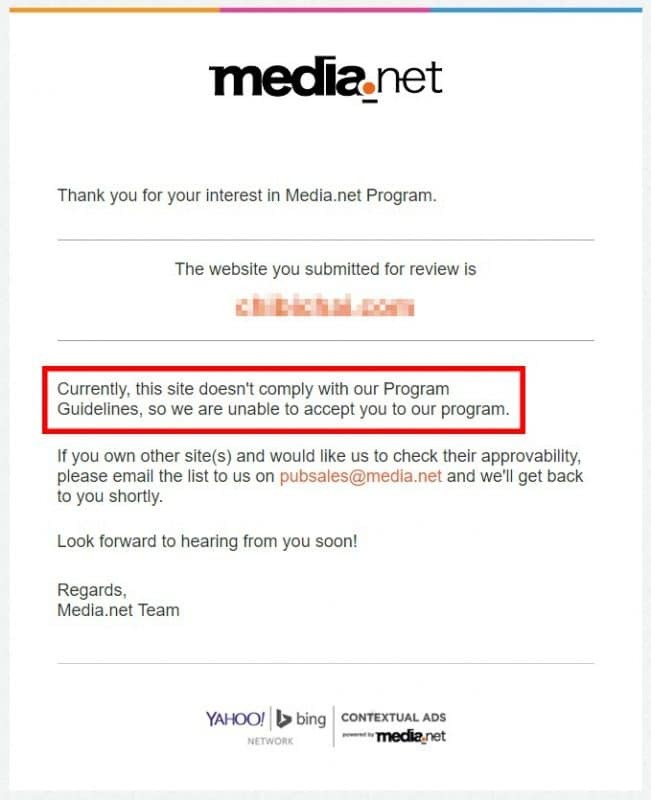 MediaNet has several guidelines in order to approve publishers to their program, they only allow websites with premium content. If you are looking to make money fast with your low-quality blog, Medianet is not for you. As one of the Best Adsense Alternatives, MediaNet looks for high-quality websites but when you are approved you’ll enjoy the benefits of it. The following guidelines will help you understand and determine whether your website is suitable for Media.net or not. We have included this information because we always receive specific questions about what a particular advertisement network allows and what it doesn’t. Have reasonable volume of visitors already using the website. Adult, Pornographic or any illegal content. Tabacco, alcohol, ammunition, hazardous substances, illegal drugs, gore, violence, gambling and racism content. Pages containing profanity or content that and/or discriminates or is offensive to any section of people. Hate, violence, racial intolerance, or advocate against any individual, group, or organization. Sale of counterfeit products, imitations of designer or other goods, stolen items or any products that infringe intellectual property rights of other parties. Programs which promote invalid click activity by paying users to click on ads, browse websites, read email etc. Websites that contain forums, discussion boards, chat rooms, or any content area that is open to public updates without adequate moderation. Applying to Media.net is easy and fast, the approval process can take some hours to a maximum of 2 business days on an average. Shortly after signing up, you will receive an automated response by email informing that Media.net has received your application. After this, you just need to wait for your website to get assessed. If your website doesn’t comply with the program guidelines, you’ll receive a rejection email. We actually submitted an alternative website (not Stream SEO) that we knew most probably wouldn’t get accepted to gather more information for this article. This means their team personally checks every website manually. This helps them get the best quality of websites and therefore get best advertisers with high paying CPCs/CPMs without putting their reputation in danger. 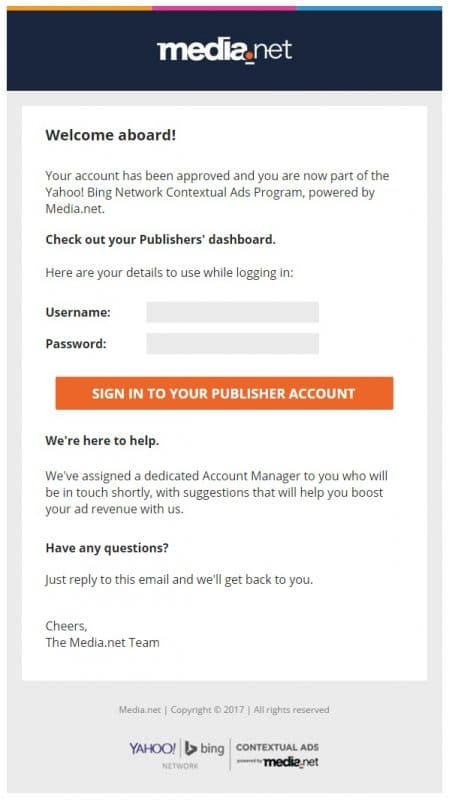 On the other hand, if your website is suitable for the Media.net publisher partnership program, you’ll receive a welcome email which would not only contain your login credentials but also some ad codes to get you started right away! In this email, you’ll also receive the codes of the most popular banners to put it on your website right away. You’ll also be assigned a PERSONAL Account Manager who will constantly monitor your account and will give you the best suggestions to help you make the most of your blog. Once you are approved, you can log in and find that the dashboard is very friendly and easy to use. 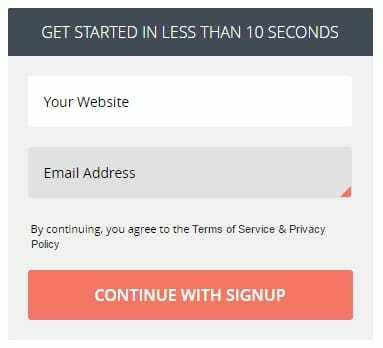 But first, you need to add your account details such as Name, Address, Telephone Number and at the bottom you must accept the terms and conditions of Media.net in order to proceed. The next step is to configure your preferred payout method. At the top right you’ll find your website name and a drop.down menu. Click on it and select “Payout Settings“. Select your preferred payout method. 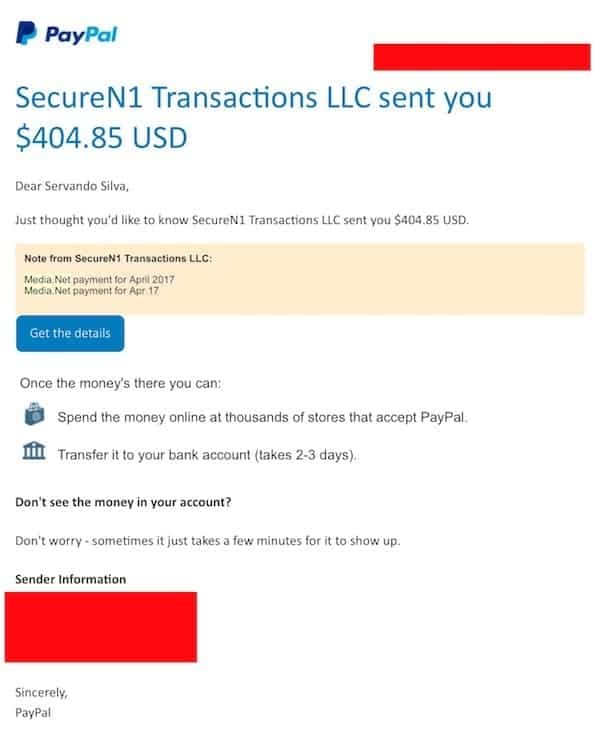 You’ll be shown the available payout methods, which are currently “Paypal” and “Wire Transfer“. Update: Unfortunately, Media.net only pays via Payoneer as of 2019. You’ll be asked to fill out information depending on the payout method you choose. Click on “Update Information” to save changes. Every time you log, (click to sign up) you’ll be shown your dashboard with the estimated revenue and impressions. You can select the date range directly in the drop-down menu located at the top left of your revenue report. Or you can select a specific day or date range in the calendar. 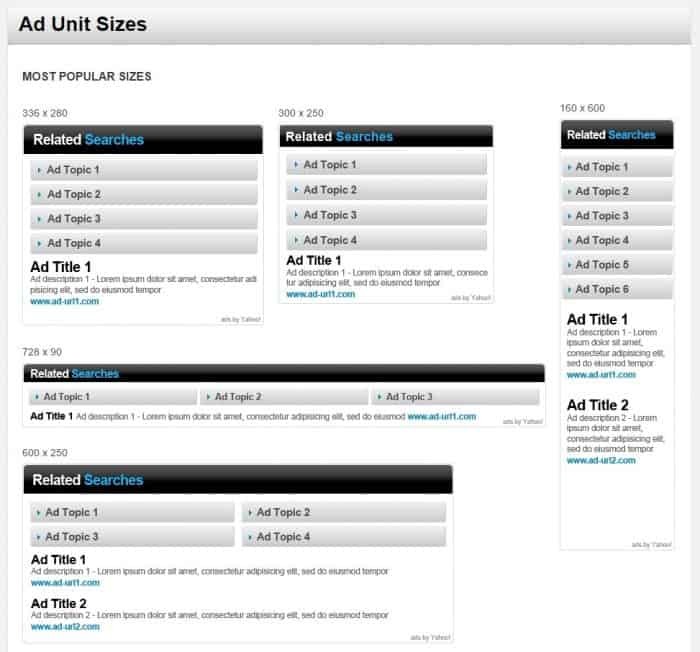 In the Ad Unit section, you can create, edit and manage all your ad units. By default, you’ll be shown your active ad units. You can also select and view your hidden ad units or if you’d like you can also view both of these together. In the drop-down menu below “Ad Units”, you can select the ads you’d like to show. If you click on the “Plus Icon” at the left of each side unit you’ll be shown your ad unit preview. Click on the “Ad Unit” Tab. Click on the blue button “Create Ad Unit“. Type a “Name” for your new Ad Unit. 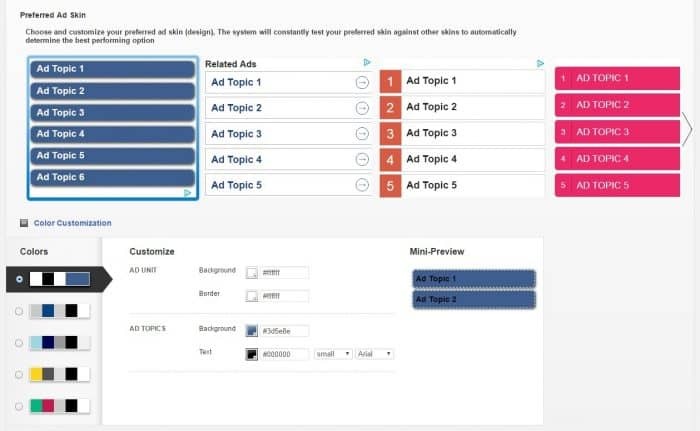 Select your “Preferred Ad Skin” from the available ad skins and then customize it according to your site design and colors. you can see here at the Stream SEO’s sidebar that I’ve put one as an example for you with the colors of my website. In the “Color Customization” section, you can select specific colors for your ad elements. If you want to see how your ad looks before saving, click on “Preview” at the bottom. Once you are done, click on the blue button “Save & Get Code“. 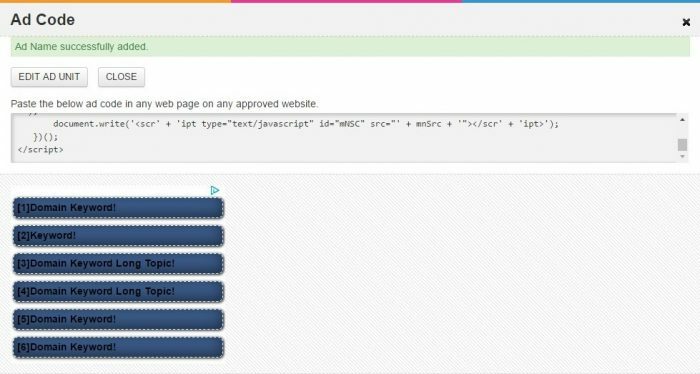 You’ll be shown your ad code in order to paste it in your website. Copy the code. Paste the code in your website, for example, in the sidebar. Your ad unit will be displayed immediately on your website. As you may have noticed, the format and design of Media.net ads, are different and quite unique. 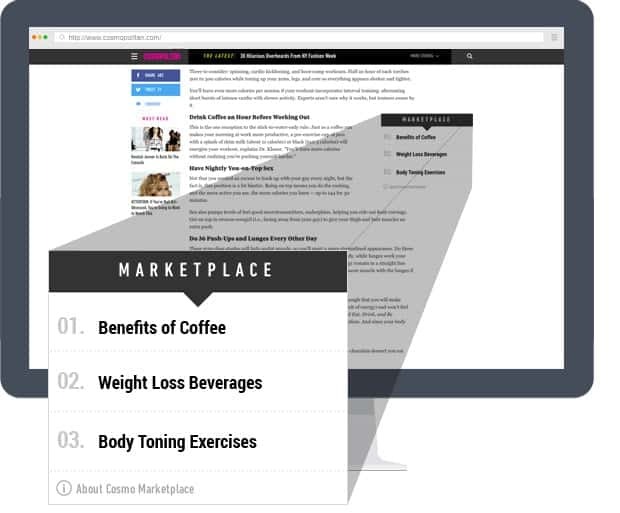 Media.net primarily has contextual ads, which are specially designed and customized in order to give users a consistent user experience. Media.net ads are basically keyword blocks with several neatly placed keywords that link to the advertiser’s page. You can select a “skin” or a format and customize it and make an ad unit that blends in with your website and gives you the best results. Media.net analyzes your website for a couple of days and decides which keywords should be displayed and accordingly displays keywords that are most relevant to your website’s content. This is precisely the reason, it takes time for the ads to optimize for your website. Over time, Media.net learns about the keywords that work for you the best i.e. the ones that receive more clicks and drive revenue for you. Media. Net’s best practices suggest that you must run their ads on your website for at least 15 days in order to give their system sometime to get familiar with your website, so that it can automatically optimize and display ads that’ll help you maximize your revenue. As you can see, the format is focused on keywords, in every size – some of them suit perfectly in the sidebar of a blog, while some of them are suitable between the blog posts and some can be placed below the article. It’s up to you to test different ad sizes in order to find which ad spot performs the best for you. In the “Site Management” section you can add other websites that you’d like to monetize with Media.net and submit the same for approval. In the “FAQs” section you’ll find knowledge based with tutorials and the answers of frequently asked questions. As we’ve covered the sign-up and configuration process, we also wanted to test Media.net right away on a particular website in order to let the system learn and optimize for better performance. 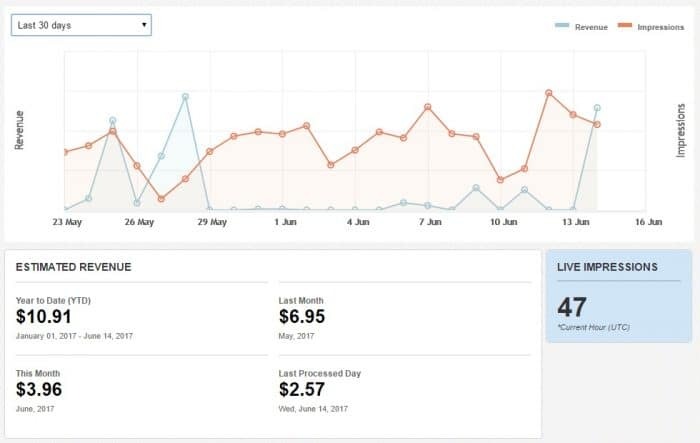 As you can see, even small and fairly new websites can monetize their traffic with reliable ad networks such as Media.net. It’s also interesting to see the live impressions (blue box in image above) where it shows you the impressions of the last 60 minutes, and we did a small test and sent around 50 visitors from social media and it seemed to work well and update every hour. We’re now making more than $2,500-$3,000+ per month with Media.net. Can’t complain about them. 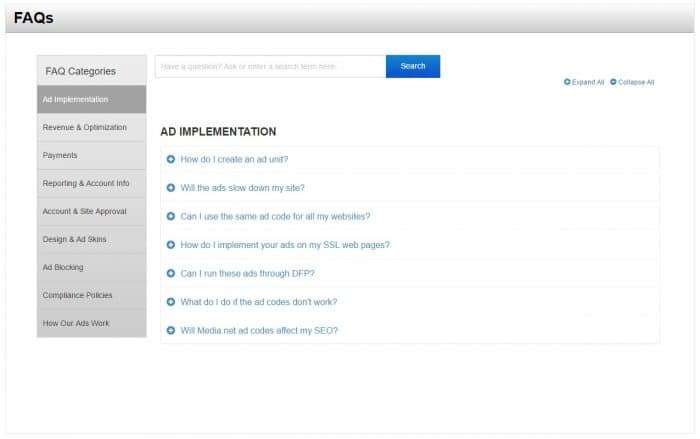 After you put your ad in your website, Media.net recommends waiting for 15 days in order to allow the system to gather data, learn and optimize each of your ad units for maximum performance. In order to improve your ad performance, place it in positions that receive good visibility. e.g. In the blog posts between paragraphs or below the post. The sidebar is normally one of the most common places to put ads but it won’t perform as well as inside the content because the CTR will be lower. Since the ad units require engagement, the placement is crucial but the quantity also matters. That’s why you should place 3 ad units on each page of your website. Customize the ads in order to make it look integrated into your website and try to use the most attractive colors from your website’s color palette. As you are displaying text, use a background color that allows your visitors to read your ads properly. Remember, you must be patient and wait until you can see better results. We noticed an increase in revenue and clicks after a couple weeks of working with them, and this is something I recommend doing with every ad network you test. For us, they are truly one of the best alternatives to Google Adsense. So, if you want to maximize your revenue and minimize your effort sign up and get started now. Their approval rate is fast and easy, so start testing media net or if you’re already working with them – please leave a comment below, we’d love to know how your experience has been so far. I hope you enjoyed this Media net review. I read somewhere that it does. its that true? Alexa Rank doesn’t play any role in this case. Real traffic is what counts, especially if it’s from tier 1 countries like USA. If your site looks fine right now you could apply as it won’t matter which platform you use later. About your migration, if your site already has traffic (I know it does) just be careful about the transition and keep the same URL structure to preserve your rankings. Since you mentioned you’re going to use subdomains it might be a hassle later. Thanks for the speedy reply. I think I’m a bit nervous about getting rejected on a site I know needs a bit of TLC. Can you apply more than once? Thanks for the information. I have been looking for Adsense alternative for my site. I love how you summarize the topic very Insightful and helpful blog. Excellent and helpful review. I have a question though if you could please help on with. I am interested in developing a website, which will contain embedded videos from Youtube or Dailymotion or Vimeo about one particular topic. The videos will be strictly from channels of original creators. The sole purpose of this idea is to enable viewers to find videos about that particular topic simultaneously on one page. We expect to generate a minimum of 5000 views per day and these might go as high as 100,000 views per day. In all of this business model, my earning will be based upon ads placed on my web pages by your organization and some other. So before I embark on this venture, Please advice, if my website will get approved from them or if there will be issues? And I need to know if the business model is accepted to your organization. You can check out their requirements. The country where most of the traffic is coming from, along with the niche is also important for many networks. Also since you’re going to upload videos you might want to consider video specific monetization networks. Hi, I would like you to join our affiliate program. I cannot find any contact details on your website. Please sign up or contact me if you have any questions. Thanks but we’re not looking for new affiliate programs at the moment. I never knew about them until recently, have signed up, great so far. I think media.net is the best google adsense alternative for publisher. but now I have a problem related to media.net. On March 2018 I have earned $120 until day 2, April 2018 they still not allow me to withdraw my earning. I don’t know why? If you have any idea related to this problem please, let me know. You get paid what you earn on a NET 30 Basis. So what you earned on March will be paid the last days of April. What you earn during April is paid at the end of May, etc. Thank you for your kindness answer, but finally, they don’t pay me. I contacted my account manager and they reply me. Yes sure, I didn’t check Palpal account, they have paid me $128.40 with %10 of bonus since 26 April 2018. they really pay. Good to know you got your payment + the bonus! I told you they paid but you just have to wait until end of the next month. Great…!! that’s great advice media.net good work, I read and also saw your every post, nice artical very usefull your post Thank you so much for sharing this and the information provide. Hi, I always read your blog and all information in your is clear and helpful. but now i have a problem with media.net. 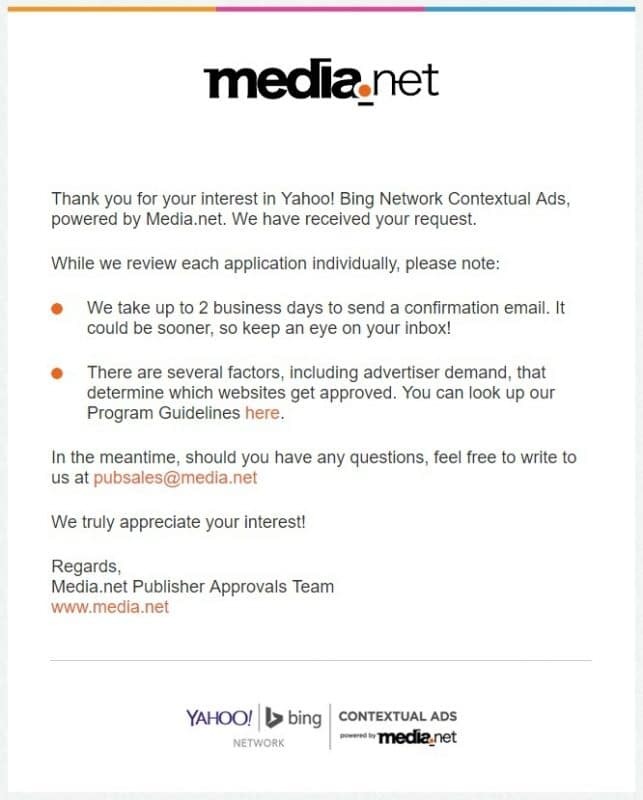 I have applied media.net with my website healthyworkouttips.com it was rejected. so i have change my website URL from healthyworkouttips.com to thehealthyworkouttips.com. so, can apply media.net to be accepted? What was the reason it was rejected? If the reason was not the domain name changing it won’t do anything for you. Hello. We don’t offer services like that. its is good for bloggers but most of time there are many problems occurs. 1) Extremely low revenue despite requirements for high-quality content. 2) Unacceptable for a “news”paper that Media-net refuses to serve ads if a headline contains censored words like “38 killed in suicide Baghdad suicide attack”..
“38 persons tragically lost their lives when a volunteer for paradise claimed his 72” ? That’s not only ridiculous, it is also an unacceptable- and very common – form of censorship – largely dictated by Google – that particularly harms independent media. This cannot stand, and clients should find alternatives that do not support censorship. Many of the top networks won’t stand violence and don’t want to appear in sites like that. It’s very understandable if you see it from the point of view of an advertiser. Unfortunately, most newspaper sites have very bad quality unless they’re the biggest ones and this happens. you can check many good alternatives here. Hey Maryam, this is a great review. I also just started using Media.net and didn’t realize that I should use more widgets for engagement. It’s great that their accounts feature 2 factor authentication so we know our earning are secure. Thanks again for the tip. I will be sure to add a couple more widgets to get more clicks and payouts. Good review and information. I have had Media.net for about 4 years, and it does very well in my niche. But today I logged in to change and add some ad units, and they have removed the “ad unit” button the top of the dashboard. Is this just temporary? I have emailed my account rep. Just curious if anyone has had this problem? Thanks for the great information. I just signed up. What do you think of my site. It is a news aggregation page. It looks like old style 1.0 sites in my opinion. Did you code it yourself? Earlier, I used this network but at that time they did not pay enough. Now after reading your review, i will go to my old account and place the ads again. Thanks for review media.net. They’re quite good nowadays if you’ve got the right traffic. SOme clicks are even paid at $2 each in the niches I’m testing. Thanks a lot for these amazing Posts. I’ve applied for Adsense and also Media.net and get rejected. Any help from you will be grateful. What was the reason of the rejection? 1. A domain at least 1-2 years old is better than a fresh one. 5. For traffic, you can buy some 1-tier traffic from FB ads or from Google, Bing, etc. Make sure send traffic from USA, UK, Canada, and other English speaking countries. Send traffic 3-5 days and do not stop during the review period, the amount is not a big deal actually, but you should know, the more the better. Thanks for sharing your recommendations. 3. This actually helps with many ad networks. Eithe ryou have a very clean layout ready for ads, or you have the ads of their bigger competitors so they want you to swap. 4. The IP probably doesn’t matter as much considering a lot of prople use VPSes or shared hosting, but I’m sure an IP from USA (very common) looks better than an IP from nigeria, just to say an example. Have you got an Adsense account? I can’t do anything to help you approved as I don’t work for Google though. Well, you have some interesting posts. But where are the ads? Well, great article i must say i have a blog hosted on google blogger, and i submitted this site to Media.net but everything to no avail is up to 5times now that i have been submitting this site they will never approve site hosted on Googles Blogger. One thing about this AdNetworks is that they take the rest of the world for granted, they try to prove that the rest of the world are nothing since my country is no US or Canada why should i target audience from this countries just to get approve. same as google ad-sense. Yeah, having a blog on blogger is an issue and that’s why I don’t recommend it. Try moving to wordpress or some other platform where you actually own your own content. As for the performance of other countries, it’s all based on advertisers and demand/offer. So tier 1 countries will always have better rates for this reason unfortunately. Hi i read ur blog and i want more information about adroll.com for publisher. i have website called http://www.superbhub.com and have 15000 page view per month it is new website. I have’t worked with Adroll before, so I’m not sure what to say about them. look for reviews from other sites and contact them to get a feel of what you’re looking for. ok thank you for your reply and can you share us how to create money from facebook like as other website like as a content.ad by being publisher. it is also possible from facebook..
You might want to read this article to get an idea of how that works. The article talks about Adsense but read part 2 as well and you can apply the same concept to any network. Thank you for this article,can we put adsense with media.net or media with propellerads ? 2 or 3 campagny in the sametime ? Yeah, shouldn’t be a problem for both cases you mentioned. 3 networks at the same time is a bit too much in my opinion, and not only will users not like it but you’ll hurt the performance of all of them. I like focusing on 1 or 2 maximum at any given time for each website. Thanks! I just applied and hope to get approved. Can you say media.net is better than adsense? No. I’d say they’re on par if you have the right traffic and countries. They have some advantages especially in how they help you more and assign you a manager, and their approval time is way faster than Adsense, but in terms of performance I think they’re similar. Media.net like others good ad medias, they don’t accept a new websites for publisher because there is no traffic. It’s a frustration most newbies like me have. Any solution how to get accepted with a new websites? did you get rejected for that specific reason? When I talked with my manager we noticed they mostly want English speaking sites, but they said there was no problem even for sites with little traffic as long as it looks good and has the right traffic. My site is in English and the niche is funny. All about funny pictures and videos. My site hosting server is in India. Could it be that the reason, I wonder. The same thing happened with me with ad media. Didn’t apply for adsense becos I got blocked from invalid click. It was a mistake to buy a gig from a fiverr for traffic. A mistake that caused my adsense get blocked. Your site is in English but your main geo is India, so that’s why they didn’t accept it.